Inglot Freedom System Lipstick 86 Review, Swatch and FOTD - A must have shade for Fall/Winter! Inglot Freedom System Lipsticks are one of my favorite when it comes to lip products. I have reviewed the shade 14 in detail earlier and today I'll be reviewing one of my all time favorite shade which is perfect for fall/winters as well as a must have shade for the on going festive season! The shade I am talking about is no 86 which is a gorgeous plum shade with blue pink undertones. This shade is quite a close dupe for MAC Rebel! Shade 86 is stunning plum shade which is perfect for fall and winters! Its highly pigmented in nature..infact it is definitely one of the most pigmented lipstick I have ever come across! A little goes a long way! It settles to a semi matte texture which is non sticky and feels light weight on lips very much like a lip stain! It does not settle into fine lines nor does it bleed. With this shade I feel I don't need a lip liner it is that intense! It is also one of the long wearing lip color in my collection! Once applied it stays good over 7 to 8 hours with full meals in between! Due to its long staying power I feel this shade will be perfect for to-be brides or even for someone who is looking for a long staying lipstick especially with the upcoming festival season. Also once this lipstick sets it does not transfer much. 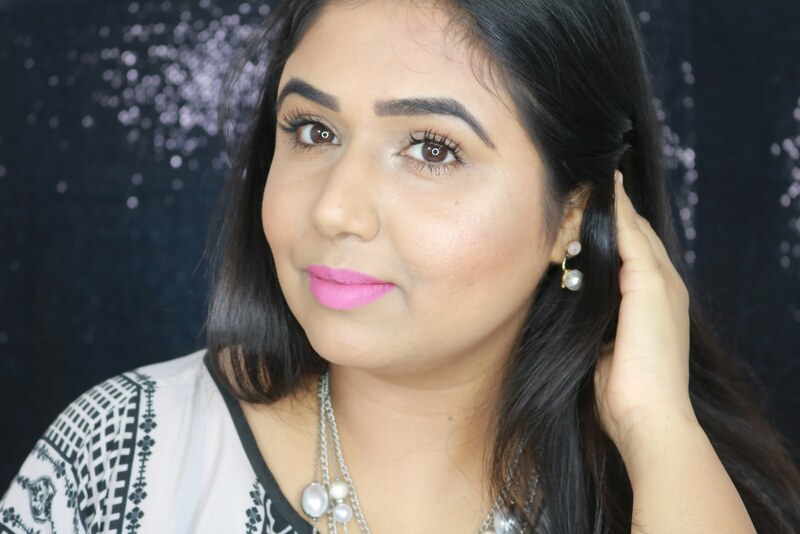 The shade is so versatile and will suit every skin tone! It is definitely a must have shade in your collection! Highly recommended! -> Amazing staying power of 7 to 8 hours! I absolutely love the shade, the texture and the finish of this lipstick and definitely will recommend it to everyone! where are you Bee?? ?and what have you been up to?? Its really a marvellous plum shade.. loved it dearr.. do u have any idea if it looks similar to MAC rebel?? Such a lovely shade, looks nice on you :) M surprised this is a long lasting lipstick! Jas these last very long! do give them a try! aaww thanks a lot Vipra! Lovely shade...looks great on u! Omgsh this looks so pretty on you !